San Francisco (AFP) - Wikipedia said that it has blocked more than 300 accounts being used by people being paid to create or tweak entries at the communally sourced online encyclopedia. Weeks of investigation revealed 381 accounts being used at the English version of Wikipedia for "black hat" editing in which people took money to promote outside interests without disclosing they were on someone's payroll, according to a blog post. Wikipedia editors who led the investigation found reason to believe that some tactics used were malicious and might even be considered extortion. 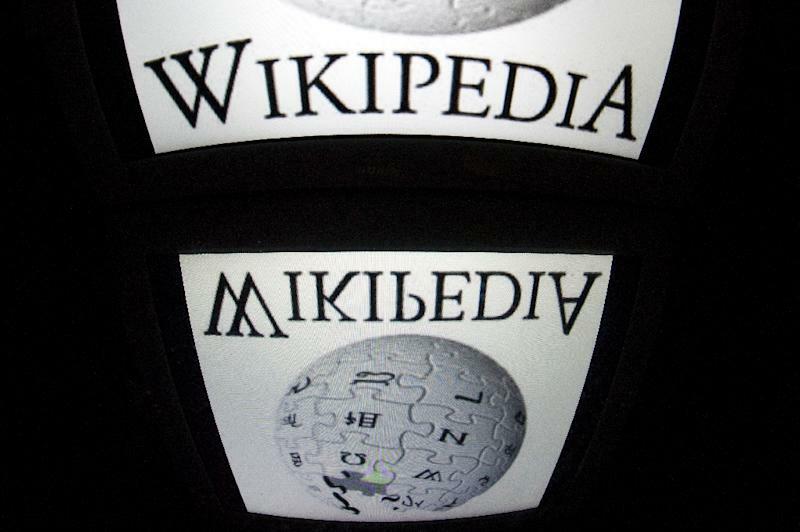 In some cases, people pretending to represent Wikipedia reached out to subjects of articles seeking payment, according to the widely-used online encyclopedia. "Other times, these individuals would threaten to delete the article if the subjects of the article failed to make payment," Wikipedia told AFP. "That being said, we would agree that the actions taken by (those) behind these accounts were extortionate and even in some cases, similar to blackmail." Wikipedia is powered mostly by volunteers and bars paid advocacy that is not disclosed, such as in the case of museums or universities having employees tune entries related to exhibits or institutions. "Neutrality is key to ensuring Wikipedia's quality," Ed Erhart and Juliet Barbara of the nonprofit Wikimedia Foundation said in the blog post. "Although it does not happen often, undisclosed paid advocacy editing may represent a serious conflict of interest and could compromise the quality of content on Wikipedia." Along with blocking the 381 "sockpuppet" accounts, Wikipedia editors deleted 210 articles created by people using those accounts. There was a potential for more entries to be removed as the investigation continued. "Most of these articles, which were related to businesses, business people, or artists, were generally promotional in nature, and often included biased or skewed information, unattributed material, and potential copyright violations," Erhart and Barbara said. "The edits made by the sockpuppets are similar enough that the community believes they were perpetrated by one coordinated group." The accounts identified during the investigation were used from the end of April to early August, but the nature and quality of the edits suggested that the paid-scheme was operating "for some time" before being discovered, according to Wikipedia. A team of volunteers tends to Wikipedia entries, which rely on crowd-sourcing for accuracy. "Editing Wikipedia is completely free, and only requires compliance with the project’s editorial guidelines," Erhart and Barbara said. "No one should ever have to pay to create or maintain a Wikipedia article."